Best way to Get Rid of Bed Bugs NJ = "ONE and DONE"
What’s the Best way to Get Rid of Bed Bugs NJ? BedBug Chasers is – for a Faster more Effective Bed Bug Heat Treatment! A Safe Bed Bug Heat Treatment is the Best way to Get Rid of Bed Bugs NJ! The BedBug Chasers heat remediation service is Best way to Get Rid of Bed Bugs NJ. With our bed bug heaters is not just about heating your home or business to get rid of those pesky bed bugs. It is also about safety, efficiency and the ability to do the job in one shot. At BedBug Chasers, we INVENTED our bed bug heater and the goal was to build the best heater in the industry and to accomplish this we turned to our alliance partner who has been building world class efficient commercial electric heaters since 1953. After two years of research and development, the BedBug Chasers convective heat system was introduced. Unlike propane-based systems which have been directly responsible for numerous fires or conductive heat systems which have been proven to enable bed bugs to escape, the BedBug Chasers convective heat is not only the most effective way to eliminate bed bug populations but Best way to Get Rid of Bed Bugs NJ! The BedBug Chasers convective heat system is the safest, most thorough and fastest way to kill bed bugs in NJ and NYC. 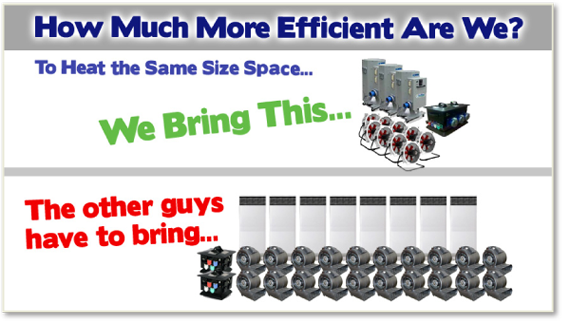 Our bed bug heaters system is able to heat a larger area in a quicker amount of time than other heat systems. (Click here to see our chart.PDF) The BedBug Chasers heat system is also the only system that allows auxiliary fans to connect directly to the heater, which means, unlike our competitors, we do not use any of your electricity. Also, unlike our competitors, since the BedBug Chasers convective heat system is a self contained single source system, you can be assured that you will not receive an outrageous electric bill the month after we finish your treatment! “One & Done” Bed Bug Heat Treatment Method is Best way to Get Rid of Bed Bugs NJ – ONE Bed Bug Treatment DONE in ONE Day! Our BedBug Chasers heat system creates the perfect balance of temperature and air flow in the shortest amount of time possible. With our bed bug heaters, bed bugs will not have time to react and run away to hide! 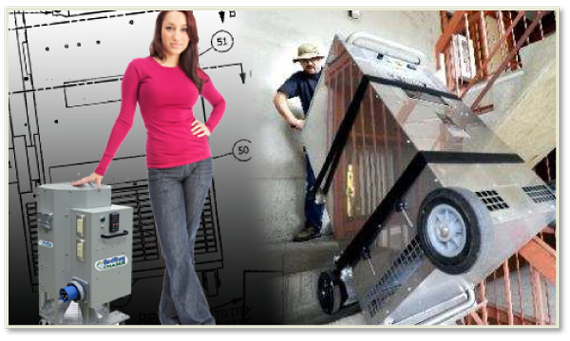 BedBug Chaser® heat system is also so efficient, we use less equipment than our competitors. Less equipment, less technicians, less setup time, faster treatment times – that means less intrusion in your home or business. Our multi-heating coil design allows the BedBug Chasers heater to control temperature to +/- 2 degF – What does that mean to you? We can control the temperature much better than our competitors and it allows the BedBug Chasers heater to be used in Commercial / Historical Buildings, Aircraft (meets FAA standards) and Yachts where even a few degrees can mean disaster for expensive custom woodwork!